Standing beside the British prime minister, Obama was making the case against Brexit better than anyone else on the British political stage, in part because of the sheer scale of power that comes with the American presidency. 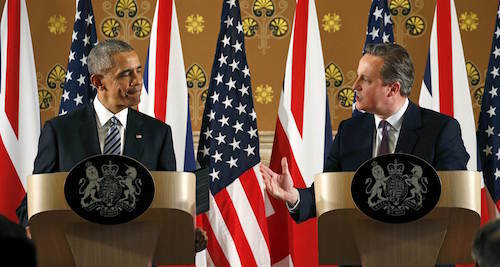 Special or no, the body language of Obama and his British counterpart David Cameron spoke everything about the unequal bilateral partnership. Amazingly, Obama managed to shrink and upstage Cameron nearly as much as George W. Bush diminished Tony Blair, oft mocked as Bush’s ‘poodle,’ over the Iraq war in 2003. He disabused the flimsy notions that a post-Brexit United Kingdom would find the ‘special relationship’ between the United States and the United Kingdom completely intact. Obama cautioned that a vote to leave the European Union would make Europe’s ability to respond to security challenges much more difficult. Obama sharply noted that negotiating a special bilateral trade agreement between the two countries would fall to the ‘back of the queue.’ The political appetite, on both sides of the Atlantic Ocean, is already weak for the Transatlantic Trade and Investment Partnership (TTIP), a comprehensive free trade deal between the United States and the European Union. If TTIP flounders, no American president is going to waste political capital on a separate sidecar for the British. However masterful or rational you might find Obama’s arguments, his credibility is now on the line. A vote in June to leave the European Union is not only a rebuke to Cameron (whose premiership, despite all protestations, would certainly end if the British vote to leave), to the business interests of London, and to the oft-maligned bureaucrats in Brussels, but now a rebuke to the United States, to Barack Obama as its leader, and to the ‘special relationship.’ If Brexit wins the day, it will be one of the most damaging political black eyes that the Obama administration will have suffered in eight years. Obama’s decision to make such a forceful intervention in British domestic politics carries with it a sharp risk that British voters will ultimately resent the notion that a foreign leader, no matter how friendly and no matter how special, thinks he should tell them how to vote. It’s clear that Obama’s remarks have already caused the two most celebrated proponents of Brexit, London’s Conservative mayor Boris Johnson (now all but transparently and blatantly campaigning to replace Cameron in 10 Downing Street) and Nigel Farage, the leader of the anti-EU United Kingdom Independence Party (UKIP), to dig their heels in. Johnson, in particular, sounded an off-tone note when he angrily surmised that Obama has an ‘ancestral dislike’ for Great Britain because of his ‘part-Kenyan’ heritage, a charge that Farage quickly embraced. 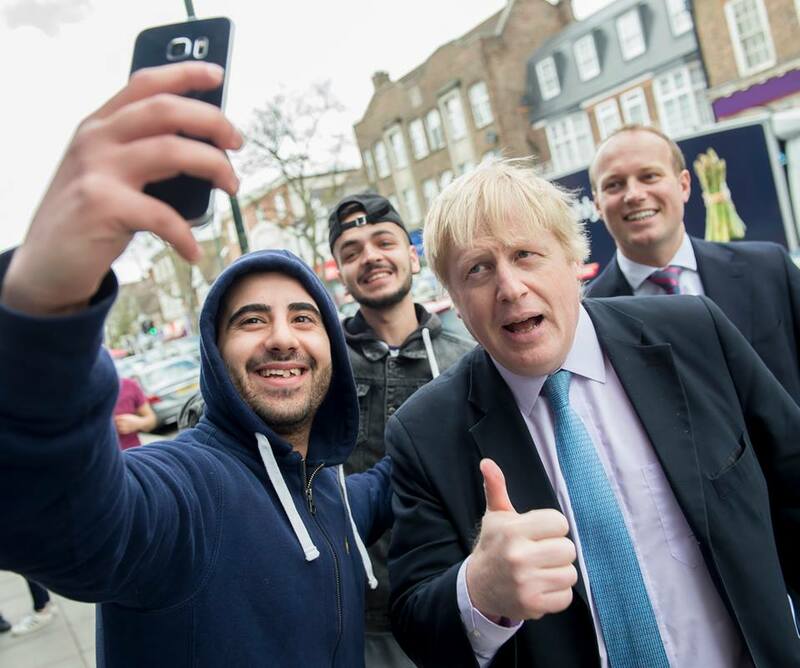 In so doing, Johnson fell right into the same trap of Obama’s daft domestic opponents, whose similar dog-whistle racism have backfired since virtually the day Obama’s presidential campaign began in 2007. It’s not just Republicans or tea-party ‘birthers.’ Recall the way that even former president Bill Clinton tripped up in attacking Obama with the language of race during the 2008 Democratic primaries. Farage is no stranger to trafficking in low-brow populism, but it’s genuinely a puzzle for Johnson, who was born in the United States and has spent eight years as London’s shaggy-haired, cosmopolitan mascot. Since winning the 2008 mayoral race, Johnson has worked hard to erase the notion that he’s unserious, an overgrown toff playing at government. What’s more, he’s also worked hard to make himself the kind of Tory who can appeal to disaffected Labour and Liberal Democratic voters, not the face of the ‘nasty party,’ as Theresa May, now the British home secretary, so cuttingly phrased it. Johnson’s decision to back Brexit, after a high-profile Hamlet act earlier in the spring, was already steeped more in political calculation than honest policy. If Brexit wins the day, Johnson will be the most high-profile figure left to replace Cameron. But unhinged ravings about Obama’s ‘part-Kenyan heritage’ will have repercussions that last beyond the June referendum. Chancellor George Osborne, quietly waiting in the wings as the sober-minded choice to succeed Cameron, should send Obama a case of champagne. Most directly, by attacking Obama with such an undignified slight, Johnson (and Farage) have distracted from the powerful notion that Obama is insulting British voters by weighing in on the Brexit referendum. Boris has become the story; even Winston Churchill’s grandson made headlines today in denouncing him. It’s now just another instructive lesson in committing Obama-era political malpractice by wrapping legitimate policy arguments in the language of race. Two months until the vote, polls show that voters are essentially tied on the matter, with a large pool of undecideds. No one can credibly say what will happen in June. Obama didn’t have to go all in against Brexit, and if voters disagree with him, there will be no shortage of second-guessing about whether Obama’s endorsement hurt the cause. But it’s worth admiring the risk that Obama has just taken. If Johnson took up the Brexit cause out of political calculation to become the next British prime minister, Obama took up the anti-Brexit cause mostly out of goodwill, not out of any political calculation, beyond a favor to Cameron (and German chancellor Angela Merkel, who has enough European governance headaches without the loss of the British). There’s no real upside for Obama, personally, except that he honestly believes Europe, the United Kingdom and the United States will all be worse off in the event that the British leave the European Union. It’s a gutsy move, even for a lame-dack American president. in(meddle). I’ve lost all respect for Boris, whose Churchill Factor is must reading.